Only a few bands out there are so close to skateboarding like punk-rock suite H2O from New York. 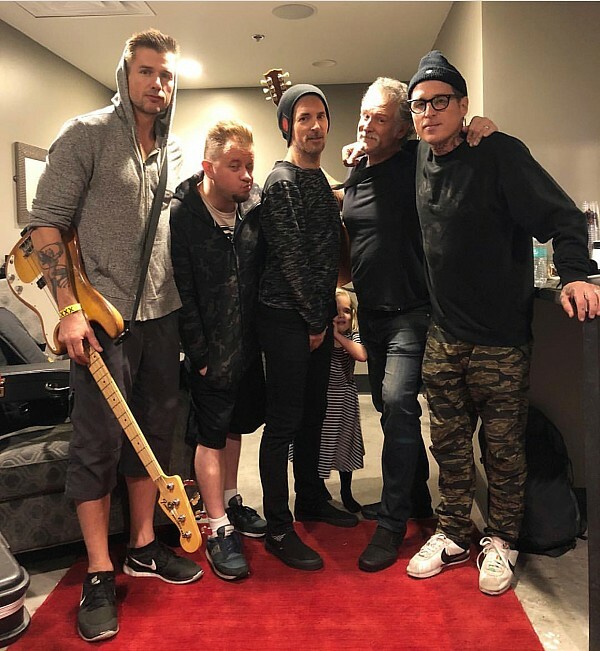 They will come to Prague on tour to celebrate 10th anniversary of their album Nothing to Prove and will play together with All For Nothing from the Netherlands as a part of the Friday programme. This year’s Mystic will culminate with the concert of British Stereo MCs. 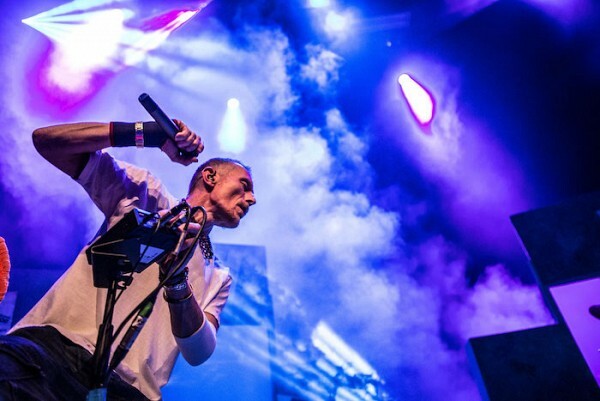 The finale of this year’s Mystic Sk8 Cup will be the show of British Stereo MCs and their original mix of dance electronica, hip hop and other styles which were absorbed and melted into unique tracks by the front man Rob Birch. 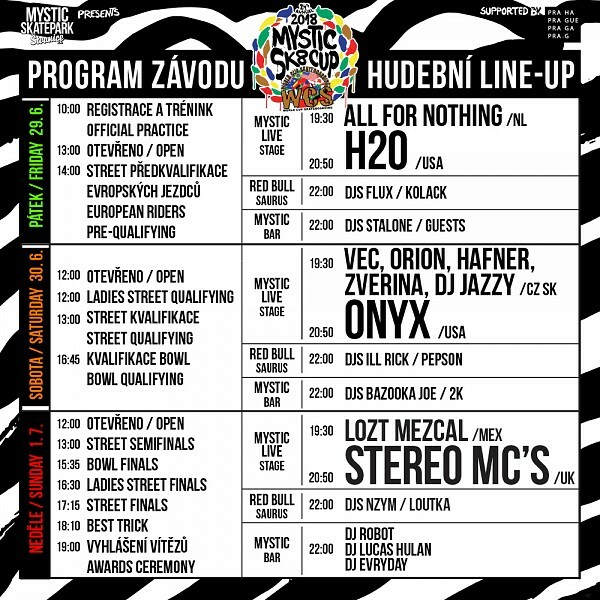 Stereo MCs will play Prague in their full concert lineup with an additional special surprise. We will hear hits like Connected, Step It Up, Sophisticated and others. ONYX – legendary hip-hop formation from NY will perform at Mystic! After last year’s show by Delinquent Habits, we will again not miss out on top quality hip hop this year. Mystic Sk8 Cup 2018 is holding its first weekend event of the summer holidays, between 29th June - 1st July 2018 at the skate park on Štvanice island. 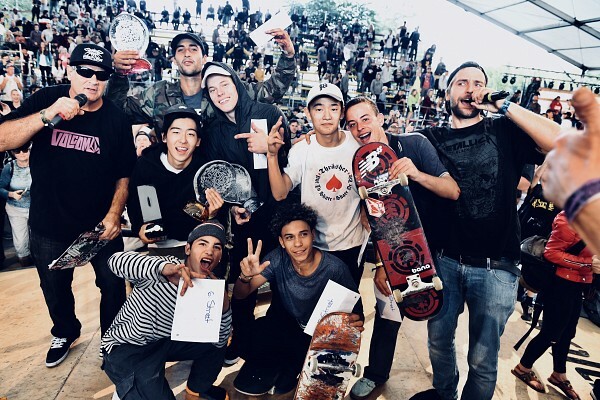 After 24 years of existence, the Mystic Sk8 Cup is not only the longest running skateboarding competition in Europe, but also the largest, and is one of the favourite competitions amongst the riders themselves. This is all down to the fusion of the element of competition with the magical city of Prague, which creates an amazing experience which keeps riders and spectators coming back year after year.